Over the last 20 years, there has been a strong push in Technology Enhanced Learning (TEL) to shift from the development of research prototypes to deploying mature systems. The capability for systems to exchange information with other systems and to scale in different contexts is crucial for realizing this maturity and has been realized through the creation of specifications and standards. This chapter guides the reader through several papers discussing past and current efforts to improve the maturity of TEL systems through standards and specifications. Initially, most of these concentrated on the production and sharing of learning content and activities. Nowadays, standardization work focus on the high-level interoperability between learning tools and sharing of information about learner actions. Respecting historical developments, specification and standardizations, works in this chapter are grouped around five themes: (1) management, sharing and reuse of learning content, (2) design and production of learning content and activities, (3) deployment of learning content to the learner, (4) assessment and tracking of learner actions, and (5) high-level interoperability between learning tools. 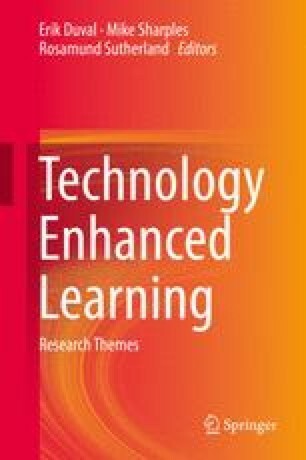 Useful references to understand the evolution and current state-of-the-art in each one of these groups are provided, as well as small discussions about their relevance for current and future TEL tools. Allinson, J., François, S., & Lewis, S. (2008). SWORD: Simple web-service offering repository deposit. Ariadne, 54, Retrieved from http://www.ariadne.ac.uk/issue54/allinson-et-al/.